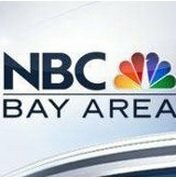 News TV Channel / KNTV, channel 11, is an NBC owned-and-operated television station licensed to San Jose, California, United States and serving the Bay Area region. The station is owned by the NBC Owned Television Stations subsidiary of NBCUniversal; KNTV's studios and main office are located on First Street in San Jose, which it shares with co-owned Telemundo station KSTS (channel 48). The station's transmitter is located on San Bruno Mountain, just south of San Francisco.